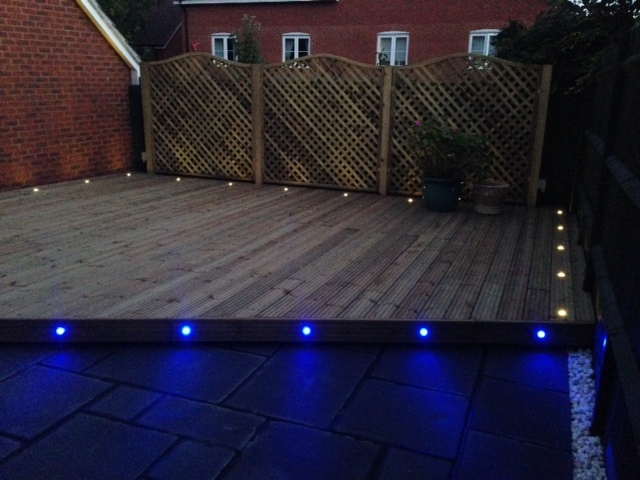 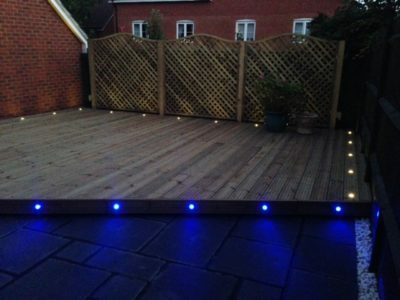 These photos show a softwood decking that was really enhanced by some stylish lighting. 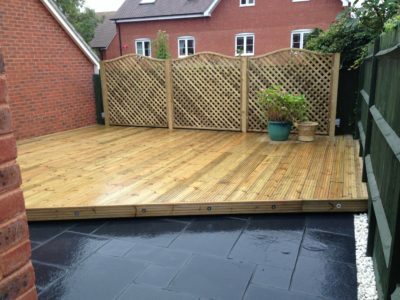 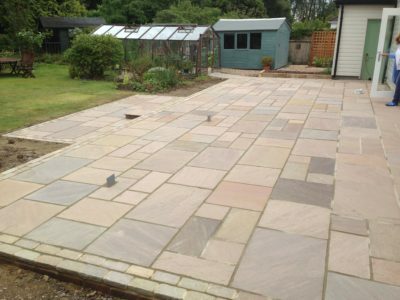 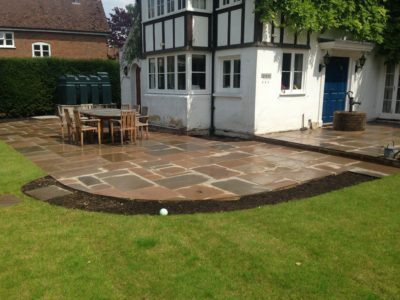 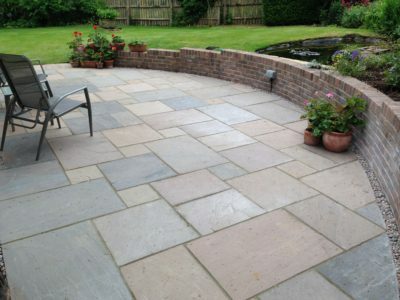 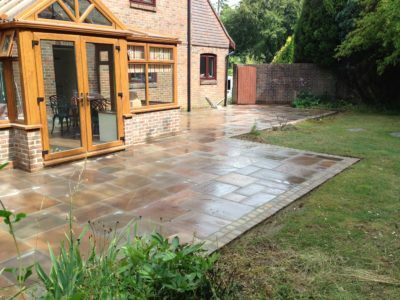 There is a slate patio area and path leading to the decking. 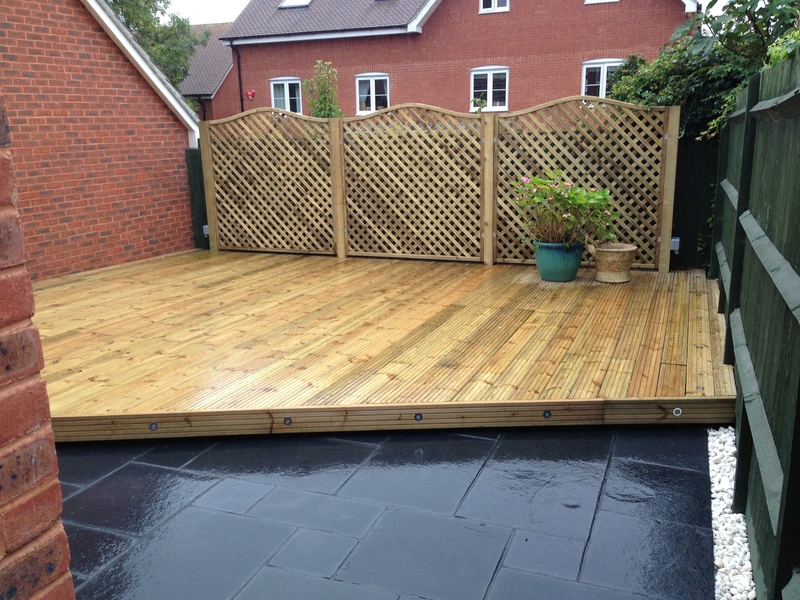 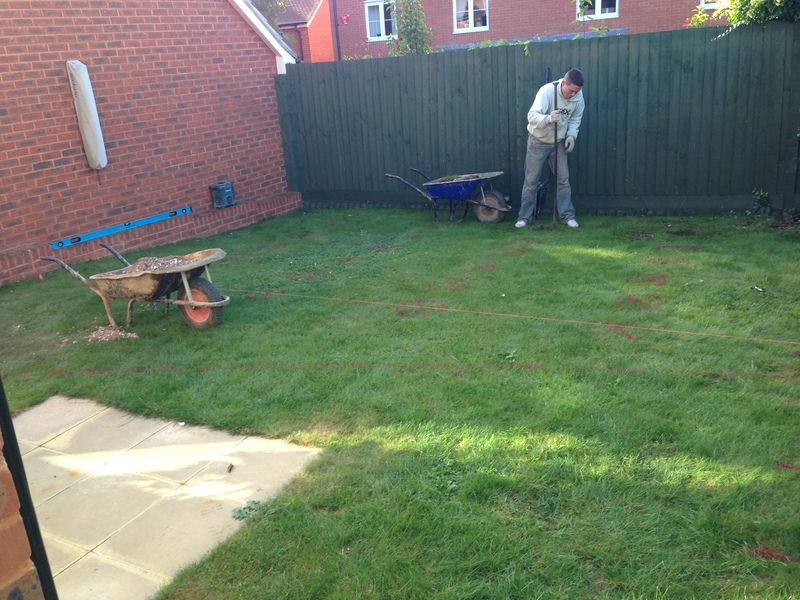 We also installed some curve topped diamond trellis to hide the neighbours fence.